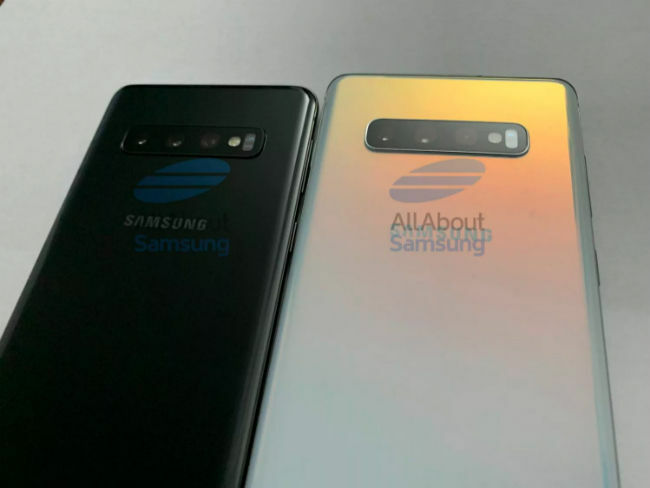 All Samsung Galaxy S10, S10+, S10 Lite rumours in one place The S10 series of phones are said to celebrate the tenth anniversary of Samsung’s S series. The processor and the basic configuration of all S10 models is rumoured to be the same. The differences will be seen in the form of varying display sizes and camera setups. Here’s all you need to know about the upcoming S10 lineup. Samsung Galaxy S10 phones expected to sport Infinity-O displays. All of them will come with Qualcomm Snapdragon 855/Exynos 9820 processors. The phones will be unveiled at an ‘Unpacked’ event in San Francisco on February 20. In two weeks’ time, Samsung will unveil its first flagship of the year, the Galaxy S10, and its multiple variants. The phone will commemorate the 10th anniversary of the Galaxy S-Series of smartphones. Samsung’s S-series smartphones have been setting a benchmark for other players in the industry and this will be no different. Thanks to numerous leaks, reports and rumours, we’re no strangers to Samsung’s S10 series of devices. From new displays to innovative camera setups, all eyes are on the Galaxy S10 phones right now. In this article, we will give you an overview of what the new phones might have to offer. 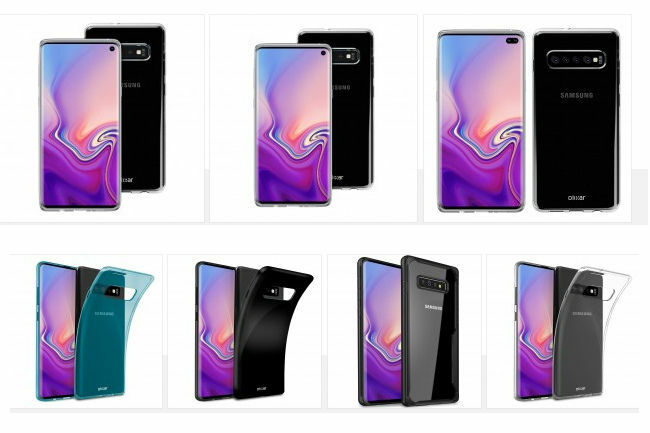 Samsung will reportely launch three models: the Galaxy S10 Lite/S10e, the Galaxy S10 and the Galaxy S10+, on February 20 at an event in San Francisco. A 5G variant of the Galaxy S10 is also expected to be announced at the event. Reports suggest that the Galaxy S10 Lite will be the most affordable of the lot. The device, which has recently been mentioned as the S10e in some reports, is expected to have the same hardware as its other siblings, but may include less premium features. The Galaxy S10 Lite is seen as Samsung’s response to Apple’s iPhone XR. Reports have suggested that the Galaxy S10 Lite will have a 5.8-inch Super AMOLED display sans the trademark curve that is associated with Samsung’s premium devices. Renders suggest that the display, called the Infinity-O, will have a punch hole to incorporate a selfie camera. 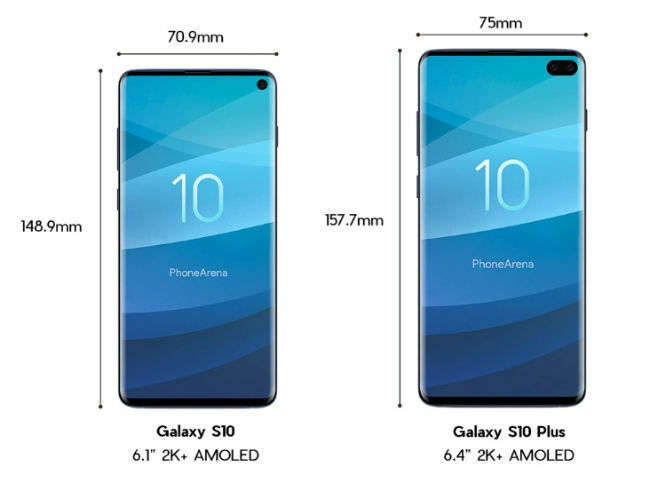 It has also been suggested that the 10th anniversary S10 phones will sport an in-display fingerprint sensor, however, the Galaxy S10 Lite may have the sensor on the power button itself to keep the cost of the device lower than its premium versions. Under the hood, the Lite model is expected to have the Qualcomm Snapdragon 855 mobile platform, along with 6GB RAM and 128GB storage. In Asian markets, the phone should have Samsung’s proprietary Exynos 9820 SoC. In the camera department, the renders show the phone sporting a single selfie shooter and a dual camera setup on the back. The rear camera setup is said to have a regular sensor and a depth sensor for portrait photography. Rumours have also suggested that the Galaxy S10 phones will offer support for faster and more efficient Wi-Fi connectivity. Samsung is gathering brownie points with the inclusion of the 3.5mm headphone jack. In markets like India, there is still much love for the headphone jacks. We’ll have to wait and see that for how long the South Korean company will stick to this, while its competitors move on with USB Type-C and wireless options. As far as the battery is concerned, Ice Universe had claimed that the S10 Lite will have a 3100mAh battery. The regular Galaxy S10 is aimed at premium buyers as it is expected to bring the best of the Lite as well as the Plus models. It suggestively borrows a single selfie shooter from the Lite model. The primary difference between the S10 Lite and regular S10 should be the display, the presence of an in-display fingerprint sensor and the rear camera setup. It is expected to sport a 6.1-inch Super AMOLED Infinity-O display with curved edges. Instead of the dual camera system, this model has been seen sporting three cameras which are claimed to be a regular sensor, a telephoto lens and a depth sensing lens. Reports suggest that the Galaxy S10 will be made available in the following variants – 6GB RAM and 128GB storage, 8GB RAM and 512GB local storage. Needless to mention that these are just rumours. The Galaxy S10 will reportedly have a 3500mAh battery. The Galaxy S10+ should be the most expensive of the lot. Unlike the other two models, the S10 Plus has been seen sporting two selfie cameras in a pill shaped socket on the display. The phone is said to sport a 6.4-inch display that curves around the edges. Other features that should remain the same as the regular Galaxy S10 are the in-display fingerprint sensor and the triple primary camera configuration. It is suggested that the phone will ship with a 4000mAh battery. There is no solid proof of the model’s variants, but it is expected to have the same 6GB RAM and 128GB storage variant as well as the 8GB RAM and 512GB local storage. There is also a mention of 12GB RAM and 1TB storagevariant. Reportedly, the regular Galaxy S10 and the Galaxy S10+ are also expected to come with reverse wireless charging tech. There have been reports that Samsung has also developed a 5G model of the Galaxy S10. A South Korean news platform ETnews claimed that this model is expected to be called the ‘Galaxy S10 X‘. Unlike the other models, this one may be offered with up to 1TB of local memory. Samsung is expected to launch this model in late March in South Korea. Recently, the press renders of all the above mentioned models were leaked, and they have been spotted on different certification websites, there is hardly any mention of the 5G variant. 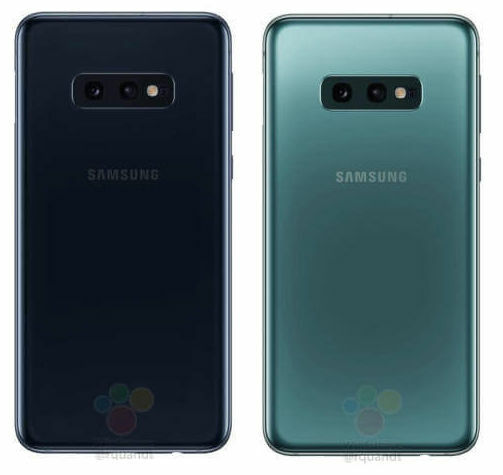 Some reports have claimed that the Galaxy S10 5G may sport a total of six cameras: two on the front and four on the back. The Galaxy S10 Lite/S10e may carry a price-tag of 749 euros (approx Rs 61,000). The Galaxy S10 may be priced at 899 euros (approx Rs 73,000) for the 6GB + 128GB variant and 1149 euros (approx Rs 94,000) for the 8GB + 512GB configuration. The same storage variants are expected to fetch 1049 euros (approx Rs 85,000) and 1299 euros (approx Rs 1.06 lakh) respectively for the Galaxy S10+. The highest-spec model of the lineup, the S10 Plus with 12GB of RAM and 1TB of storage, may force users to shell out 1599 euros (approx 1.30 lakh). Previous articleHere’s how Indian PUBG gamers are streaming their way to the bank In India, the online gaming market is projected to become a billion dollar industry by 2020 and gamers are all set to stream into that future.